The 10 Best Karaoke Bars in Kentucky! 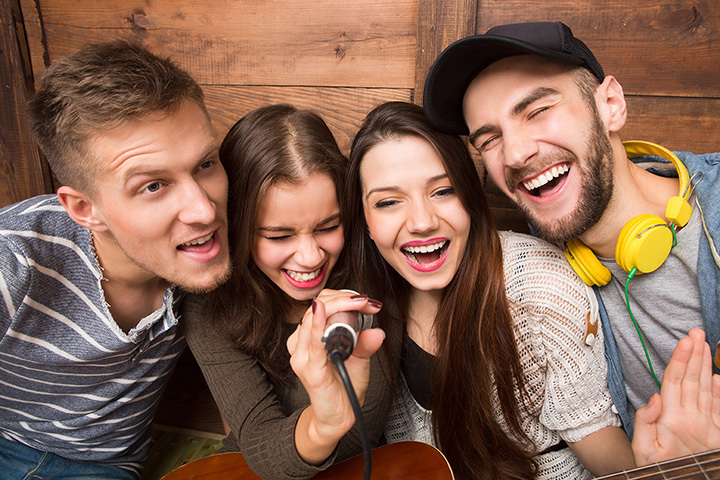 If you love to mix it up with friends for a night out, karaoke is an excellent option. Karaoke has become a favorite activity for many people who are looking for a way to relax, laugh, and show off their singing skills. For a memorable night, check out the 10 best karaoke bars in Kentucky. Mac’s Karaoke Bar in Lexington, Kentucky, is a great place to sing your heart out. With karaoke every night starting at 7 p.m., one visit and you’ll know why Mac’s is called the best karaoke bar in the area. Since opening in 2012, Mac’s has become the go-to place for friends who want to celebrate life. Also available for large groups and private parties, you won’t find friendlier people anywhere. Best known for slingin’ and singin’, Survivor’s Bar & Grill in Lexington, Kentucky, handles pouring drinks and some serious karaoke with a side of friendly faces. Join your friends for a fun night of karaoke, great adult beverages, and a game of pool or darts. Don’t be shy. Put the cares of the day behind you and do more than survive at Survivor’s. Every night is special at Bungalow Joe’s Bar and Grill, located in Louisville and Shelbyville, Kentucky. Enjoy the all-you-can-eat jumbo wings and margaritas on Monday, free dessert on Tuesday, and kids eat free on Wednesday. If you come Thursday or Friday, you can take advantage of the sandwich, soup, and salad specials, and weekends are for karaoke and discounted drinks. Family friendly, good food, and a great atmosphere keep people coming back for more at Bungalow Joe’s. Center Street Bar & Grill is located in the heart of Madisonville, Kentucky. Offering a modern twist on old favorites, you’ll find some of the finest steaks and seafood in the area. While you’re waiting on your food, you can enjoy one of the daily drink specials, watch your favorite team on TV, play a game, or sing your heart out on karaoke night. Open every night except Sunday. This locally owned and operated neighborhood pub is the hidden gem in Bowling Green, Kentucky, when it comes to a great place for live music. More than the average bar, visiting Johnetta’s Pub is like visiting your best friend’s house. Open every day with drink and food specials, there’s never a cover charge for the live bands, DJs, and karaoke nights. It’s a great place to grab a bit to eat, tell your favorite stories, sing along, and dance your socks off, so come on down and have a cold one with your friends. Whether you stop by with friends or you’re there to celebrate a birthday or other special event, there’s something for everyone at the Tap House Bar and Lounge in Nicholasville, Kentucky. Open from 5 p.m. to 1 a.m. every day except Monday and Tuesday, they have several large screen TVs where you can cheer your team and never miss a game. If you’re into trivia, they have that, too. Thursday nights are karaoke nights, and it’s especially fun in warm weather when you can sing to your favorites in the outdoor beer garden. Let the good times roll is the motto of The Spot Bar N Grill in Vine Grove, Kentucky. This local karaoke bar offers a good time for all six days a week with live music, large flat screen TVs, a menu featuring snacks or full meals, and a warm-weather beer garden. If you enjoy games, you can play pool, throw a few darts, or try your hand at Texas Hold’em. This is definitely the Spot. If you’re looking for a new place to hang out with friends, stop by Krazy Dave’s in Louisville. With more made-to-order pizzas than you can imagine and giant burgers that will satisfy the hungriest diner, you can shoot a game of pool, play in the arcade, and enjoy karaoke with your friends. Open every day for dining in or carry out. Every day is fun day at Overtime Sports Bar and Grill in Bowling Green, Kentucky. Karaoke four times a week, discount wings, drink specials, and a happy hour that will put a smile on your face, there’s always something going on at this downtown hot spot. Eating good food, drinking good beer, and just enjoying life was the foundation on which Madison Garden Bar and Grill was built in 1982. With over 200 beers, ginormous portions, and the best wings in the area, this eatery offers hospitality and attitude at the same time. Throw a few darts, play a little pool, or catch up on local sports before you step up and sing along on karaoke night. There’s never a dull moment at Madison Garden Bar and Grill. View more Kentucky Bars and Saloons.